Rum, cigars, and sugar cane. Or revolution, missile crisis, and communism. Or education, health care, and art. 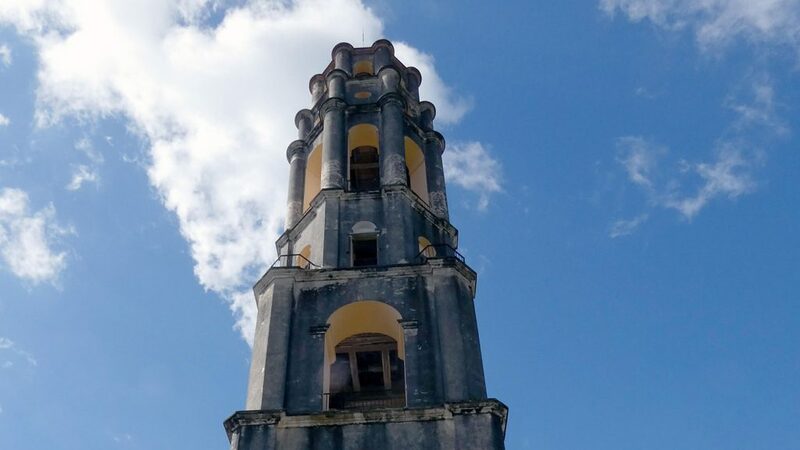 Cuba is a name that elicits many thoughts. Suzanne Westfall, professor of theater, and Luis Schettino, associate professor of psychology and neuroscience, led a group of Lafayette students during January to help understand the complex history of the island. 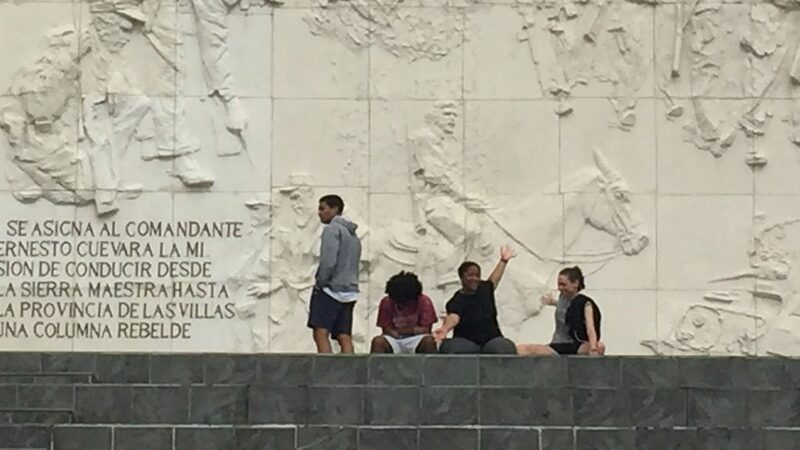 They focused specifically on agriculture, exploring how the Cuban Revolution transformed society and the ways Cubans relate to their land and environment. Here are some images that capture their journey. When the group landed in Cuba, the first billboard it saw said, “The Blockade: The Longest Genocide in History.” It is how the Cubans see their existence because of political policies. They have to make do with what they have since so few countries can trade with them and the lack of trade-based infrastructure. So the people are resourceful. 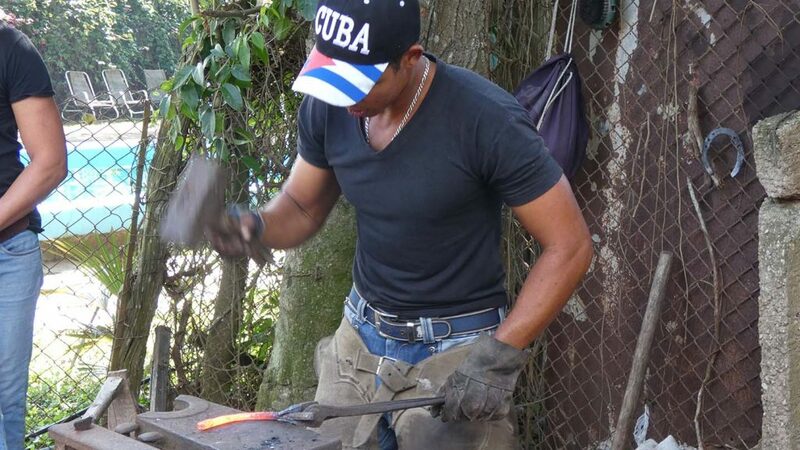 This blacksmith makes horseshoes and nails out of rebar in a makeshift forge. Horses and carts often fill the roadways. While some have cars, gas is hard to get and expensive. But if you look under the car’s hood, it is an amalgamation of parts, brands, and do-hickeys to keep it running. The people who remember the revolution are dying off. That generation remembers the suffering prior to the revolution. The younger generations can see their surroundings as suffering, but for the seniors contemporary suffering pales in comparison. Everyone has complete health care coverage, a food allowance, a tax-free, rent-free home, and access to education. One of the group’s hosts at a casas particulares was a boy during the revolution. He has worked for years in the telecommunications industry. But like others in the country, his wage has been the standard $25. He has family in the United States and has visited them. While abroad he takes videos of grocery stores to show people back home how others live. It has started to make him ask himself if the equality he’s lived with in Cuba is worth it. The group spent a few hours working on the farms, called fincas, mostly weeding garden beds. The farm shown here grows garlic, sweet potatoes, onion, carrots, radishes, and yucca. About 80 percent of the crops are given to the government. The crops remaining are used by the growers or sold. The people still struggle with food security. 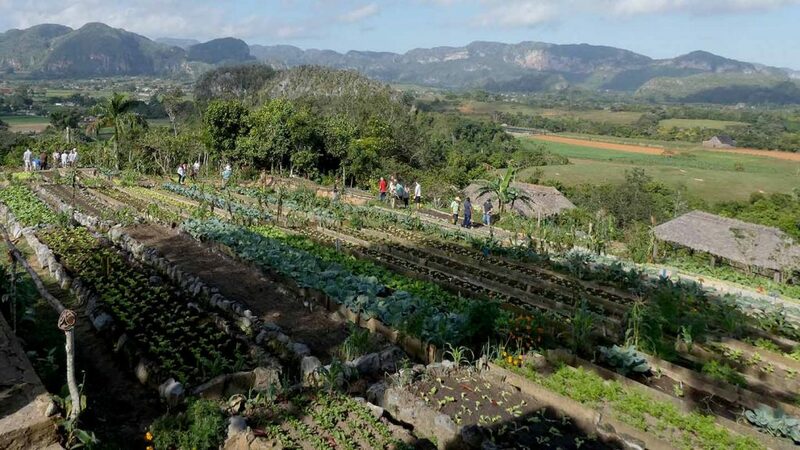 Cuba shifted from a monoculture of growing sugar for many centuries, having had to become self-sufficient after the revolution, reclaiming caneland for rice and fields. 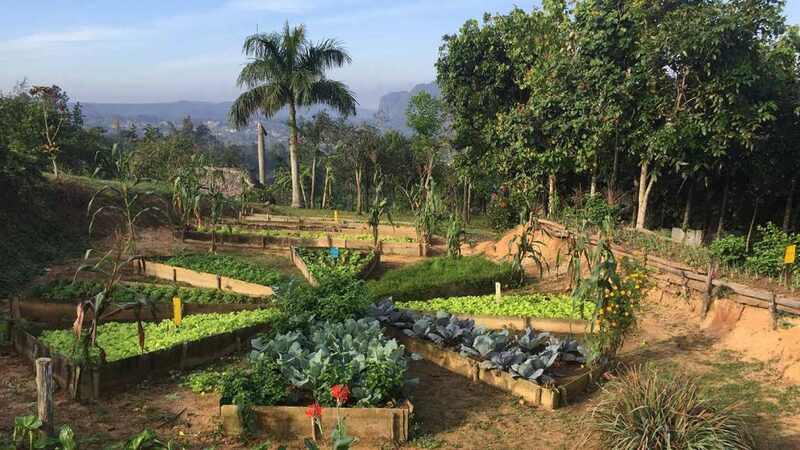 The term “agroecological” means no commercial pesticides or fertilizers are used. It’s not organic but similar in style. They are resourceful, using nicotine from stems of tobacco plants to create a biological pesticide that protects crops. Rabbit cages sit above the compost bins to help fertilize organic matter. The standard wage in Cuba is $25-$27 a month. 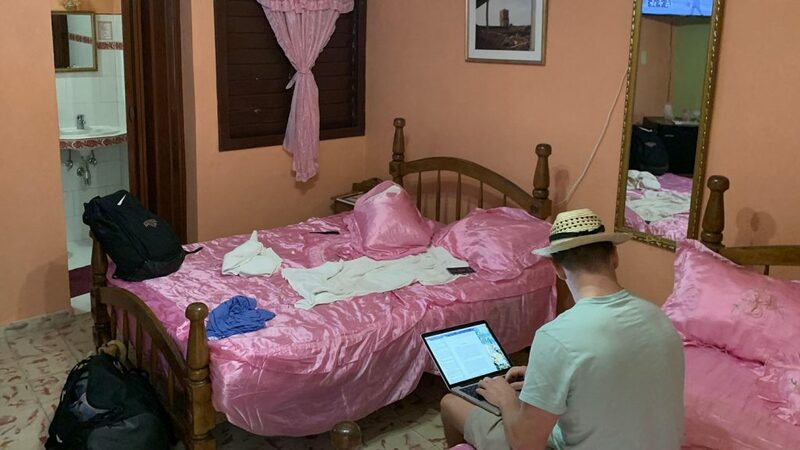 People who rent rooms to travelers, called casas particulares (translated as private homes, shown here), earn $30 a night per room. Renting several rooms a night can be lucrative. These people are some of the few in the country who pay taxes on that income. Not everyone can offer their homes to guests. It requires an investment from others, often family members who live abroad, so guests can have private bathrooms—things common in first-world countries.